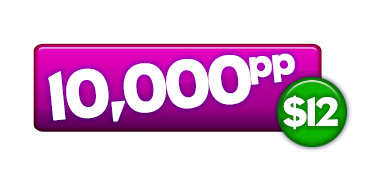 Buy 10,000 Peach Points Here! Use Peach Points in a variety of online games to purchase virtual items that enhance your gaming experience. You can purchase the amount you need and in minutes be using the points to get cool items in awesome games. First, look for the "Buy Now" button down below, and click that. Enter in the amount you want to pay along with your details, and that's it. It's highly recommended to sign up for a free itch.io account as you will then have easier access to your codes. After making your purchase you will be taken to your download page here on itch.io. On that page you will find a button which when clicked will reveal your special Peach Points code. That is the code you will need to enter into the account for the game you are purchasing points for. You will also receive an email with the link to your download page in case you need to go there again. Want a different amount of Peach Points?